Most girls dream about becoming princesses, living happily ever after, or having their dreams come true. I was one of those girls, except that those girls dream of becoming a Disney princess for a day, while my dream is to set foot on Disneyland and munch on all the treats they have. This year, I finally had that dream come true at Tokyo Disneysea! I enjoyed a full day walking around this magical place looking for treats that interest me. I didn't have the chance to try all of them, but I did try a bunch! I'll walk you through them. When you enter Disneysea, this is one of the first shops you'll see. Don't miss it like I did! (which made me come back at night before we left). This bakery offers a lot of different pastries and Toy Story-themed snacks, but those cost twice more, so I had to settle with this. 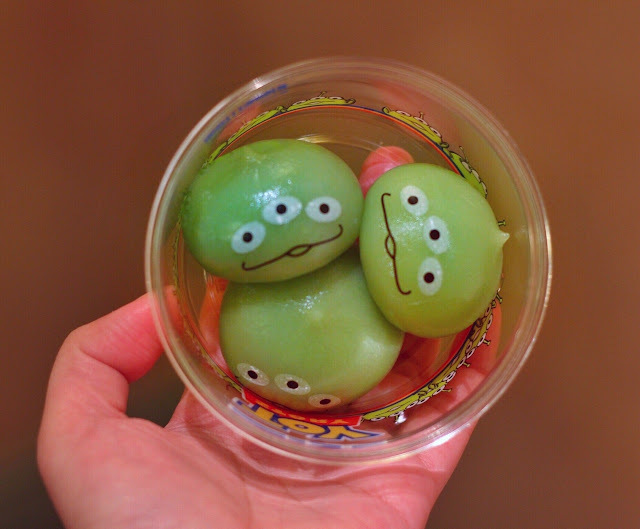 The little green men are mochi dumplings filled with strawberry, chocolate, and custard fillings. I honestly liked these as they did not only look cute, but tasted good as well. There's a cart just a few steps away from Mama Biscotti's Bakery (between Zambini Brothers' Ristorante and Il Postino Stationery) that sells the sea salt ice cream. I'm not sure if other snack carts sell them as well, but this is where I got mine. 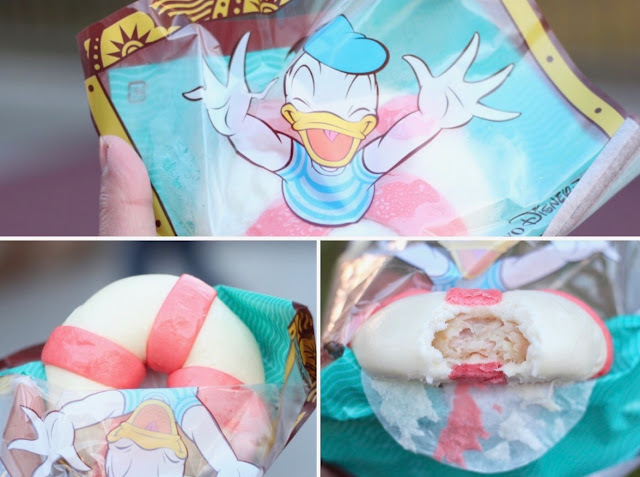 It's a seashell shaped wafer with sea salt flavored ice cream and strawberry filling. 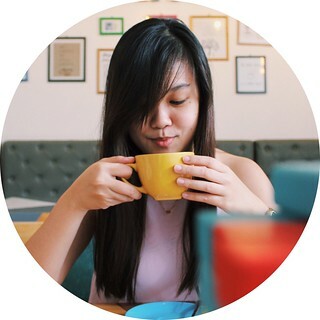 It seems like a weird combination of flavors, but you'll just get a mild taste of the sea salt anyway, which makes the pairing okay. The potato churro can be found in the Mysterious Island area, going to the Mermaid Lagoon section. It tasted a bit weird, actually. It seemed a bit bland, although I was able to taste a hint of spice in it. The texture was also different than I expected, but probably because it's made of potatoes. 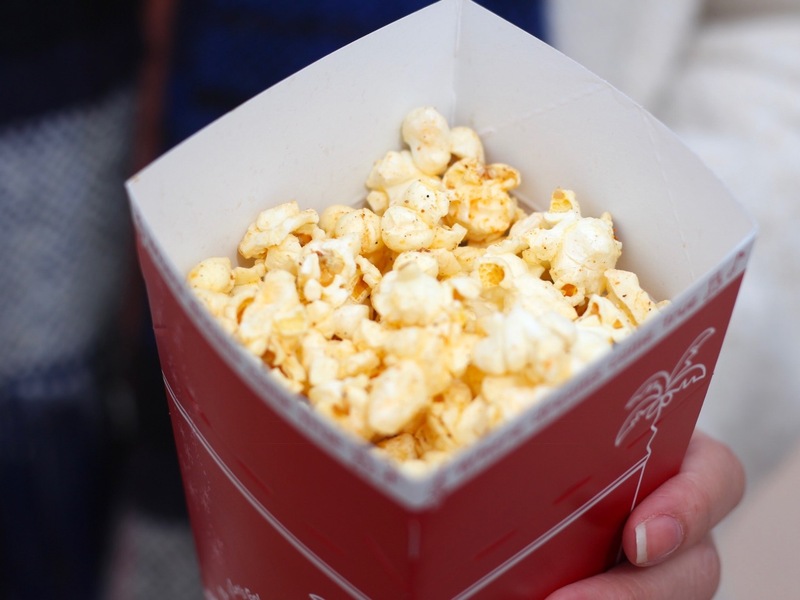 There are a bunch of carts offering popcorns scattered around Disneysea, but each one of them sells a different flavor of popcorn. The flavors available are caramel, garlic shrimp, Blueberry, Milk Chocolate, Black Pepper, Salt, Curry, and Herb-Tomato. So if you want a certain flavor, you're gonna have to go around the theme park to get it. 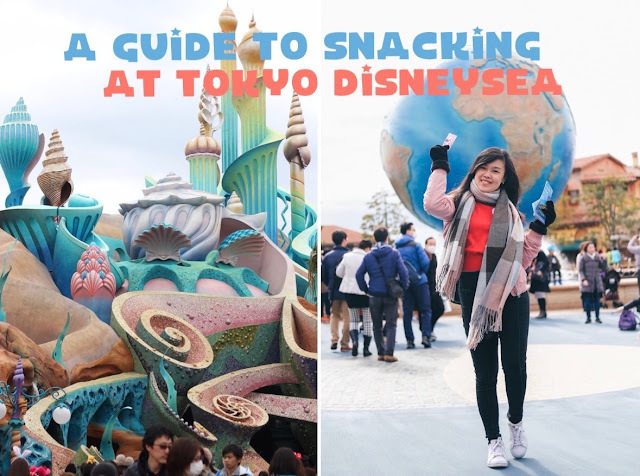 But don't worry, the guide map that they hand to you as you enter Disneysea has a guide on where exactly you can get the popcorn of your choice. I swear, it's going to be useful. 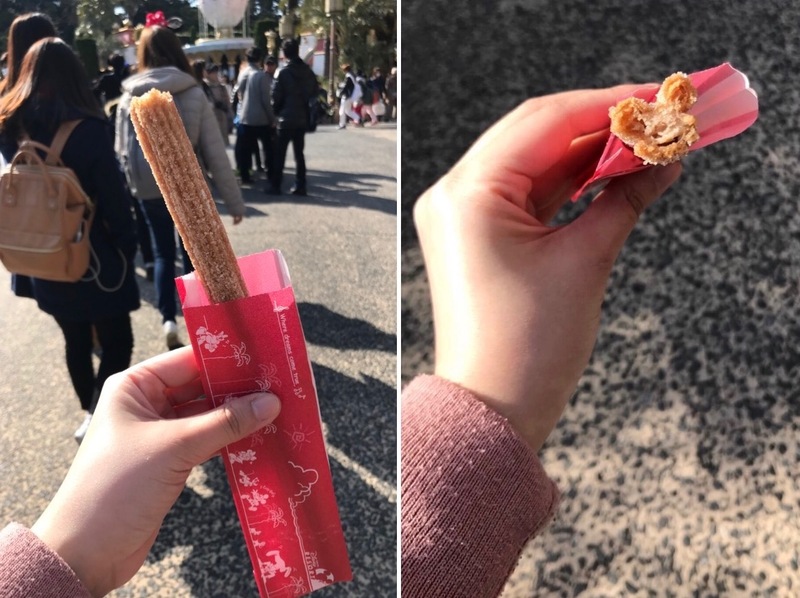 The Mickey churros can be bought at the Arabian Coast area. 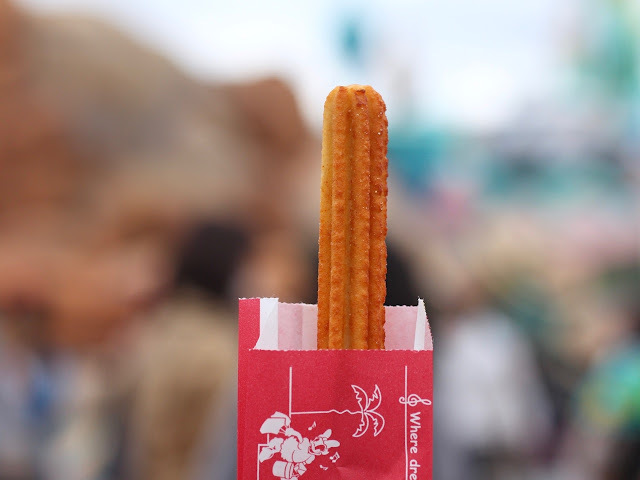 It tastes like your typical churros with cinnamon sugar. 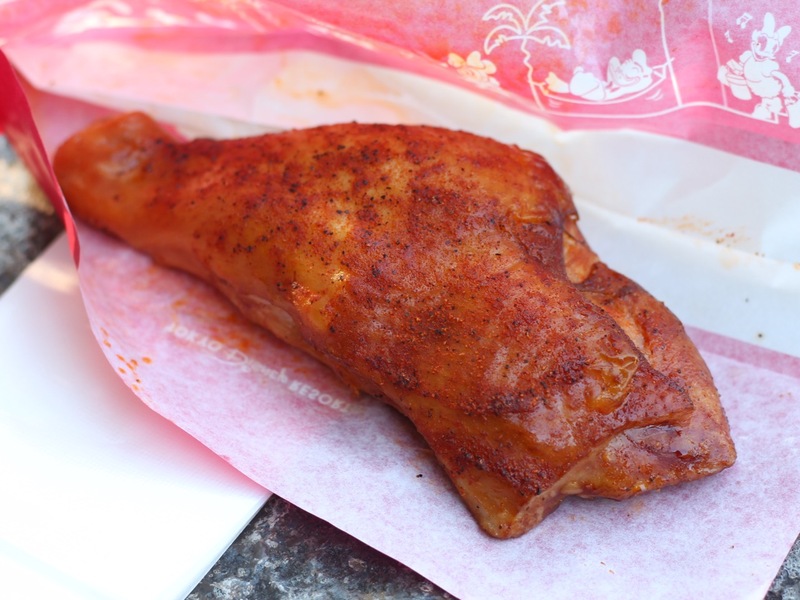 The smoked chicken legs can be found at The Lost River Delta area, near the Raging Spirits ride. This is a treat I enjoyed because I found the chicken to be flavorful and incredibly tender and juicy. 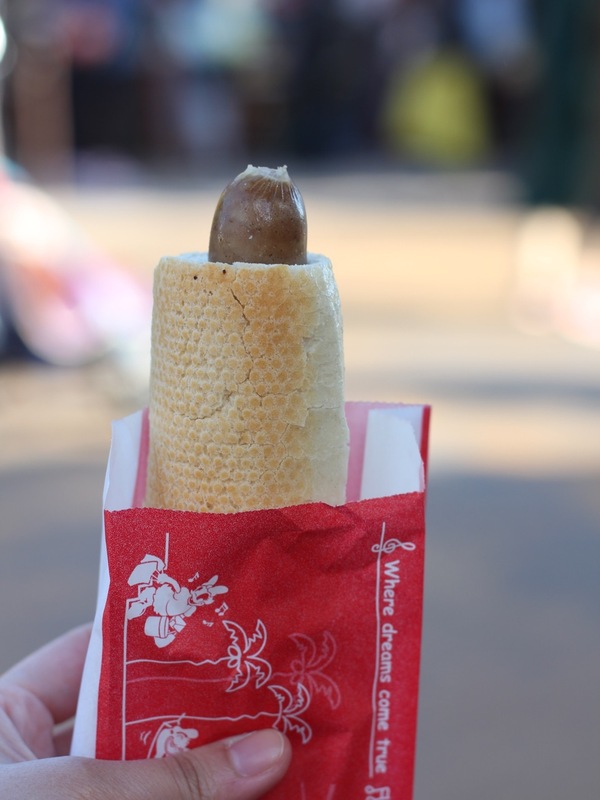 You can buy your Yucatan Sausage Rolls at the Lost River Delta area, beside the bridge going to the DisneySea Transit Steamer Line. It's a filling treat, with the bread tasting crunchier than you'd expect. The Ukiwah buns can be bought at the Port Discovery area. This is another snack I enjoyed because its bun and shrimp meat filling are soft and moist, and of course delicious. 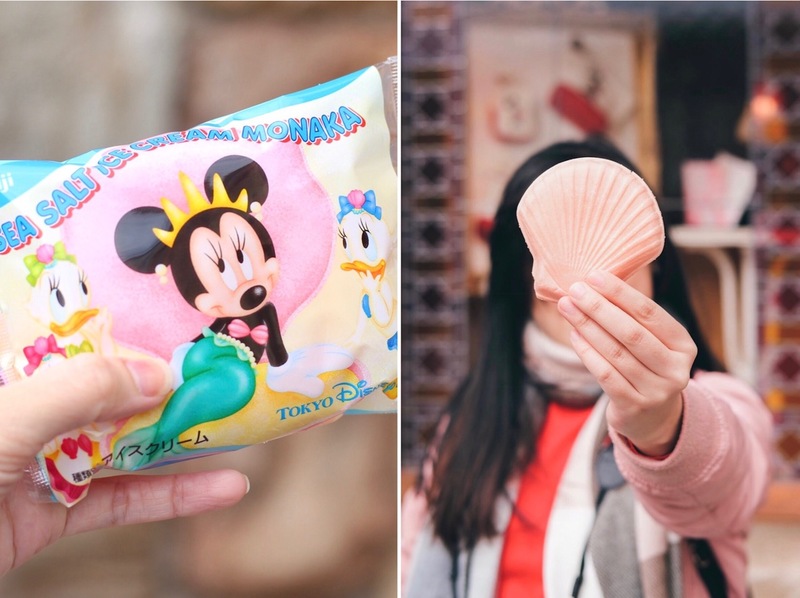 As sad as it is to say, I only got through 7 of DisneySea's treats during the whole day that I was at DisneySea. But nevertheless, I'm very happy that I was finally able to visit a Disney theme park. I'm targetting Disneyland in Florida for my next Disney-themed treat-finding.